Brandy is working her tail off. The media run she's been on for this album is insane! She's everywhere and you know I'm not complaining at all! The album Two Eleven is her best in a long time. It's such a great r&b album, and I am happy to see the promo behind it! 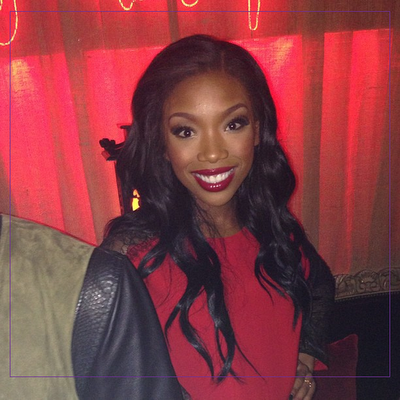 Brandy appeared on Good Morning America this morning and tore it UP! She's also been on a host of radio shows, the latest being Sway in the morning..where she gives some great advice to Chris Brown, and even landed the Vibe Vixen cover! My girl is all levels of HOT right now! Shout out to her team who is making sure her album is pushed this go around. Brandy has always been this talented even if she wasn't this confident. Sometimes it takes a team behind you to push you to your best abilities! So excited! Go BRANDY! Two Eleven is in stores and available for purchase online NOW! Get it! It's so worth it!